The oil formula that enables gentle massaging deep cleanses not only make-up but also any waste. The 5 plant-based ingredients, including olive oil, gently work on the skin and protects it by leaving your skin moisturized with no tightness even after cleansing. Gently massaging your skin while you cleanse boosts blood circulation and gives your skin even more vitality. 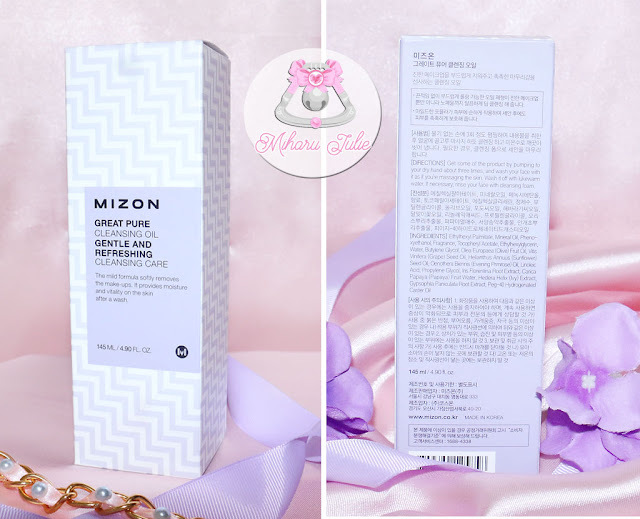 I did a test on cotton and my hand to know how Mizon Great Pure Cleansing Oil does get rid of regular and waterproof makeup. 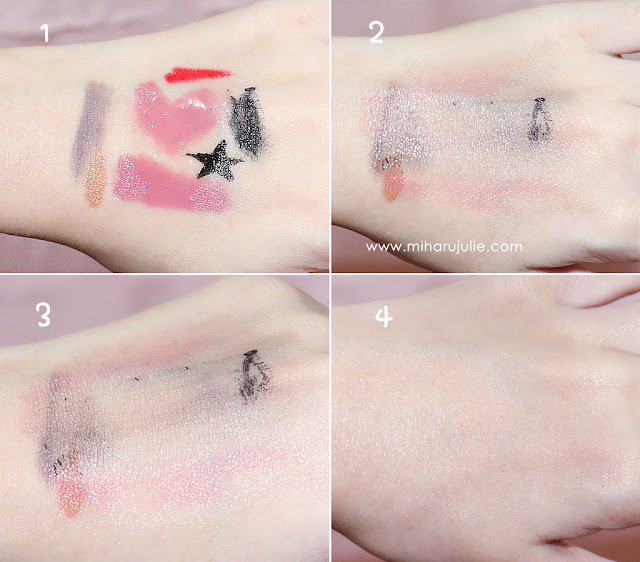 Apply about 3 pumps onto dry hands and cleanse your skin by massaging it onto your face. If necessary, finish off by washing with cleansing foam. I love the purple pattern on packaging. The bottle comes in a 145ml pump dispenser bottle, which I guess should be enough for 3-4 months and it is easy to control how much product comes out so that you don't end up wasting the product and it is also hygienic. The bottle also sturdy to prevent the products from leaking while travel. I did a test how it washes off makeup and in the pic above starting from the left I have a regular eyeliner, waterproof mascara, eyeshadow and lipstick on my hand. The above picture is after spreading all the oil all over the makeup and as you can see it really does wash off makeup easily. I really like this cleanser! It makes my skin feel super soft after every wash and it really cleans my face without being oil too much. It also doesn't over-moisturize my skin. 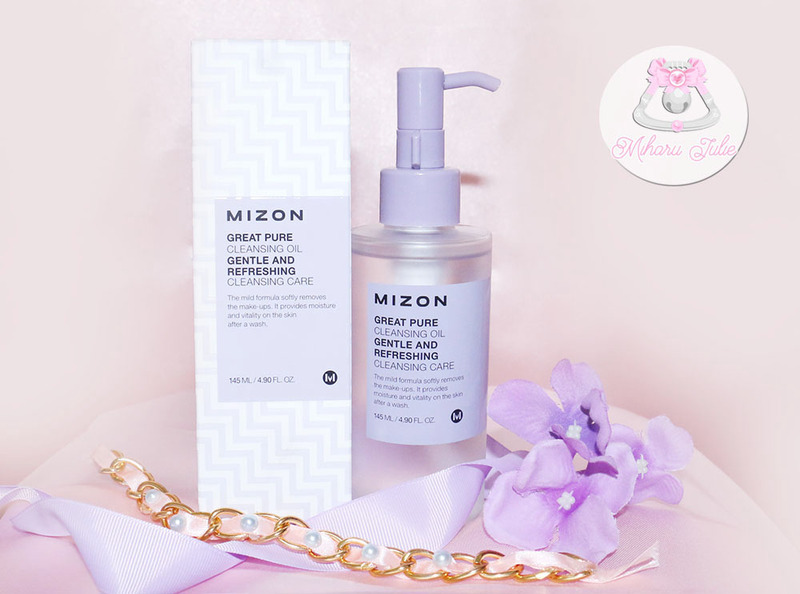 Mizon Great Pure Cleansing Oil does get rid of regular and waterproof makeup. Overall, I am very impressed with this cleanser. I do think that it suits all skin types, even oily ones because it doesn't strip off the natural oils off of your face and it deep cleanses your skin. This seems a great brand! Great product! I love your hairstyle! Great Product, i also love it to use cleansing oil! I'm loving your introductory paragraph, about coming to the conclusion that there must always be something better out there. Very material in this context but very applicable to real life, too, haha. But other than that Mizon sounds lovely! Cantik banget sih kaya boneka!!!! i actually want to try out the balm for this product, but now that i've read about how effective part of its line is I wanna try it even more now haha ^^ thanks for the review ! 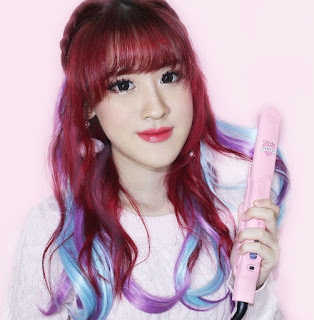 waw make up langsung luntur pake ini nih..